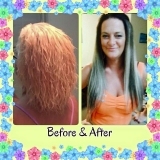 A premium hair extension specialist is a necessity to guarantee an expert quality service and flawless result. Instyle Extensions Hair & Beauty are the Gold Coasts leading Hair Extension salon specializing solely on premium grade affordable hair extensions. 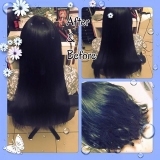 Our professionally trained, experienced and accredited Hair Extension team will ensure you receive the best service in a calm and relaxing setting. Our 100% REMY Tape Extensions, I-Tip / Micro Bead Extensions and Clip In Extensions have been carefully selected by our leading extension specialist Miss Mandar who has over 6 years’ experience solely specialising in hair extensions. 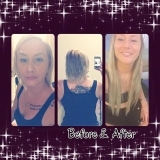 With the highly experienced staff backed by premium quality hair extensions, unique colour blending and cutting techniques you will leave Instyle with perfectly blended beautiful hair that everyone will be envious to have.